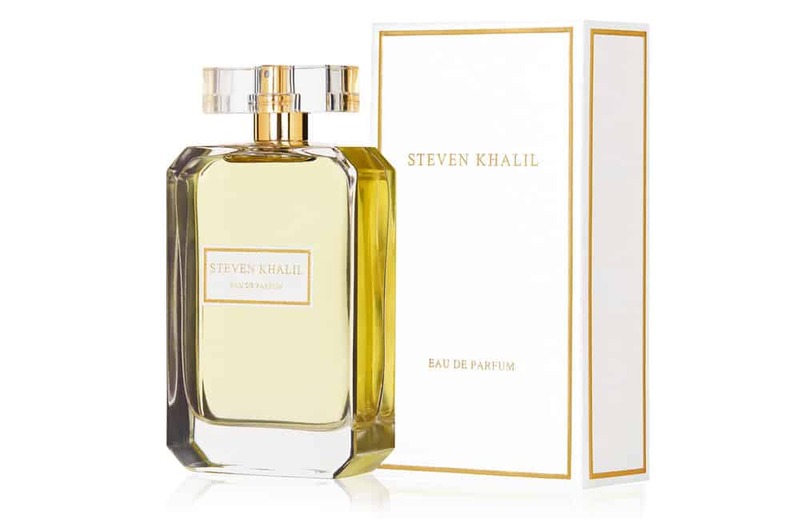 Steven Khalil is proud to present his eponymous fragrance, an impeccably constructed white floral Eau de Parfum. His vision: a rich and elegant floral with intimate longevity and complexity to echo the intricate nature of his gowns. 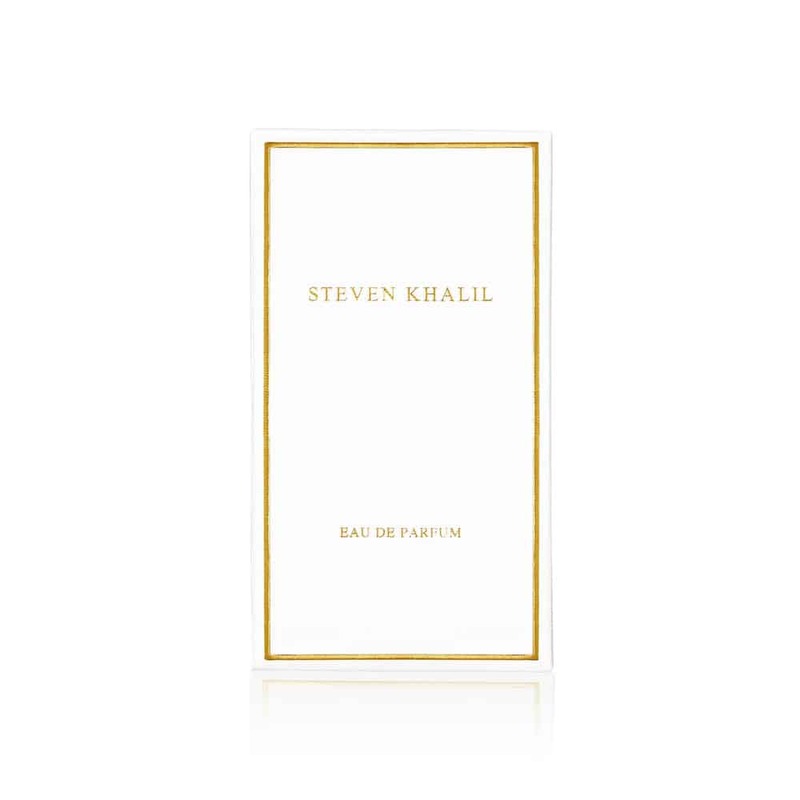 The Parfum: formulated with only the finest oils and extracts, the parfum delivers a sparkling cool opening softened with sultry peach, and a beautifully honey-warmed white floral heart, bright and expertly balanced, while sensual on the skin. 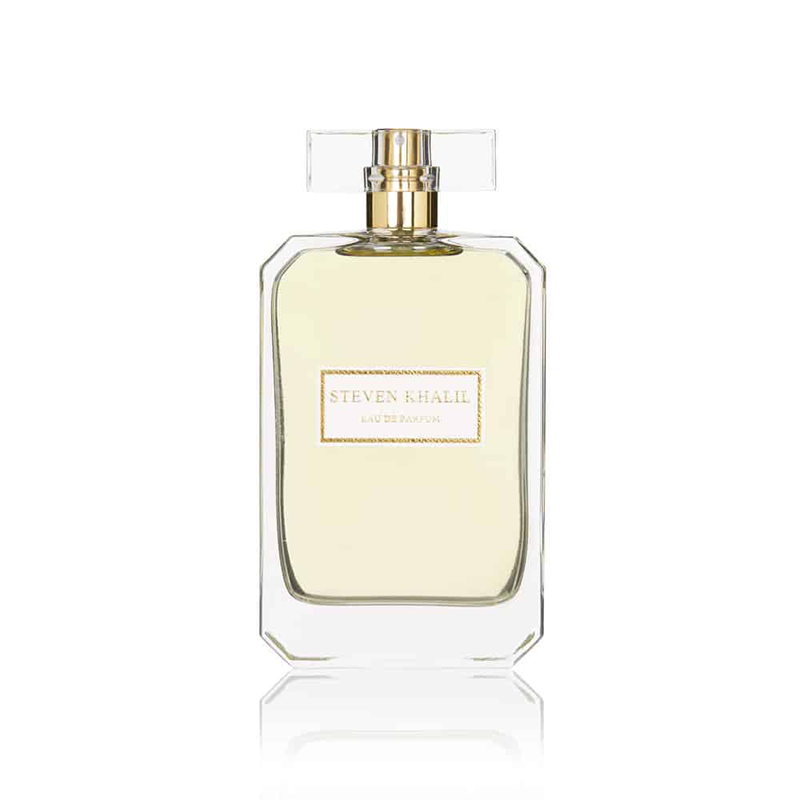 The lingering base notes are soft but grounded by fine patchouli, and cling to the skin.